Italian oxidized silver plate and red enamel Infinity Cross. Sized at 1 5/8 inches tall (not including ring) and just over 1 inch wide. 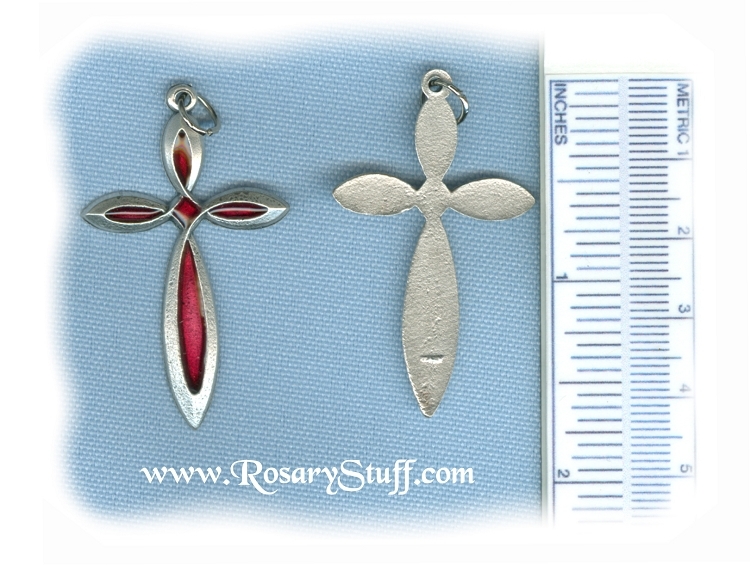 This unique cross is stamped and a little bit thinner than average, but the unique design and the beautiful red color make it a perfect addition for any rosary. Holy Trinity Crucifix (Large) ~SP~ 2 1/8 in. Angel Crucifix ~SP~ 1 3/4 in. Rose Crucifix ~NI ~ 2 in.